Ahh, the holidays that season of peace and joy and understanding that anytime is the right time to gather with family and friends and food and drink and food and drink and cookies. 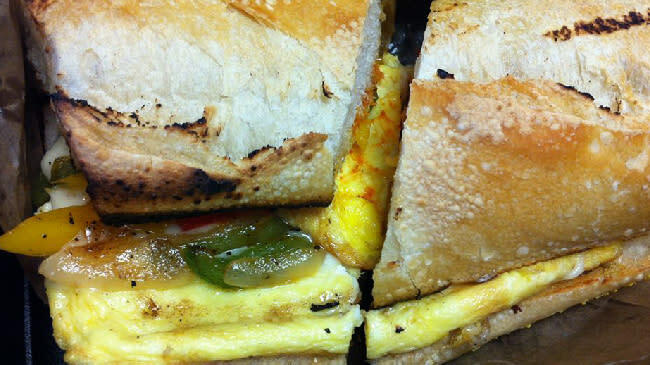 Oh yes, its the brunch, brunchiest time of the year. And with that in mind, were bringing back our list of popular local brunches with a few holiday additions and a stern reminder: Book your tables NOW. Hagley Museum & Library is always a must visit during the holidays for their season decorations and now they&apos;re offering brunch! The Belin House Organic Cafe will serve an la carte brunch menu Saturdays and Sundays, through Jan. 4 using farm-fresh, locally grown, sustainable and organic products. 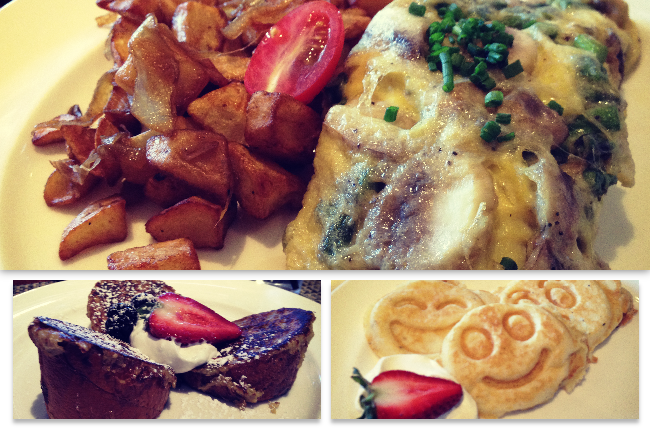 Hagley is great, but everything is better when you add brunch! Chelsea Tavern Wilmington&apos;s craft brew destination puts out a decidedly guy-friendly brunch that begs to be kicked off with a MANmosa (Hoegaarden ale, orange juice and a shot of Stoli O vodka). Traditional brunch fare finds space next to the chicken and waffles Benedict, chipotle pork belly breakfast wrap, and the PB&J Waffle Sandwich (peanut butter, sliced banana & grape jelly sandwiched between fresh vanilla waffles). 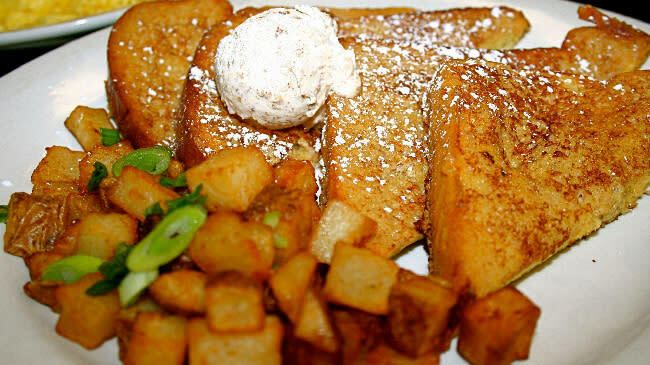 Kid Shelleen&apos;s Right near the heart of Wilmington&apos;s hopping Trolley Square bar scene, Kid Shelleen&apos;s brunch menu seems designed to satisfy those who wake up late and those who have trouble waking up at all. The make-you-own-Bloody-Mary bar serves as a good eye opener for the day, but I think you&apos;ll find the corned-beef hash (made from homemade corned brisket) is worth waking up for. La Fia Bistro Key fact to remember if attending brunch at La Fia: Chef Bryan Sikora operates the restaurant as both a bistro and a bakery, because hes a wizard with bread. Their breakfast sandwich might read like a straightforward treatment of a classic, but the perfectly cooked egg (with a just-barely runny yolk) and homemade English muffins came together to make The Farmer the best breakfast sandwich I&apos;ve ever had. Anywhere. Ever. 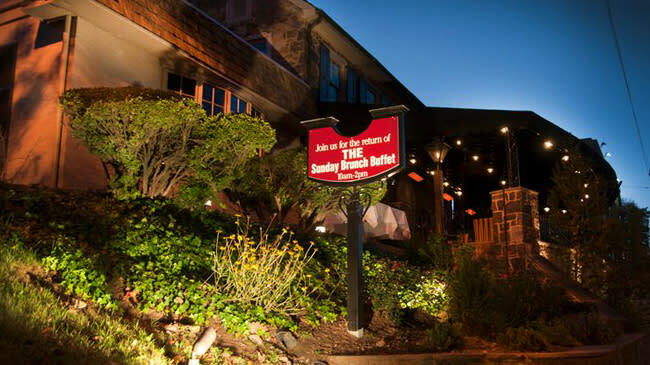 Brandywine Prime The brunch menu takes inspiration from regional ingredients and cuisine, including Lancaster farm-fresh eggs, Kennett Square mushroom omelets, Pennsylvania maple syrup and (of course) fried scrapple. If you&apos;re brunching with a date, check out the Prime Brunch for Two, which comes with two BP Bloody Marys, a half bottle of Gruet Brut sparkling wine, and a measure of fresh squeezed orange juice. Buckley&apos;s Its not just the pajamad people watching that makes this a notable brunch. It starts with homemade bakery items, including (the day we visited) some delicious chocolate-chip scones. Entrees change seasonally but often include classic omelet preparations, eggs Benedicts and variations on shrimp and grits, plus a family-style plate of meat with plenty of bacon, sausage and ham to share around the table. (Smiley-faced pancakes on the kids menu came in a variety of smiley-faced expressions. The kids appreciated it.) Adults in their PJs get a half-priced brunch, which makes this a flannel-laden steal of a deal. Harry&apos;s Savoy Grill Harry&apos;s is one of Delawares landmark fine-dining locations, offering upscale renditions of traditional brunch food (like the French toast that comes with burnt maple-jalapeno syrup), served up with a bit of wit (the Mothers Debris with Cajun-spiced pulled short rib, poached eggs, and Hollandaise sauce over an English muffin). But if its steak you want, then its steak you can get, with Harry&apos;s Prime Rib and au gratin potatoes on the menu. Longwood Gardens You can&apos;t beat the view from brunch at 1906 at Longwood Gardens, overlooking the blooming wonder of the Longwood Conservatory. Linger in the gardens for a leisurely brunch with the three-course prix fixe, where you&apos;ll choose from dishes like the Longwood Gardens mushroom soup, brioche French toast with a vanilla bourbon custard and dark chocolate pot de creme. Mendenhall Inn For their classically executed brunch, the Mendenhall Inn offers a buffet/a-la-carte hybrid, with traditional apps (peel-and-eat shrimp, smoked salmon and trout, an antipasto station) and desserts (bananas Foster, chocolate mousse) served on the buffet, and main-course entrees (seared scallops, French toast, classic Benedicts) arriving from the kitchen. Deerfield Golf Club Deerfield advertises more than 111 feet of brunchy goodness, and they back up their boasts with more tasty options than any reasonable human can/should sample on a single visit. (That might be why they&apos;ve topped Delaware Today&apos;s Best of Delaware awards for seven years running, and are recognized by OpenTable as one of the 2014 Best Brunch Restaurants in America.) From the raw bar with oysters, shrimp and crab to the meat carving stations to the gourmet mac-n-cheese station (with DIY toppings), and all the usual breakfast suspects, this is a brunch to spend some time on. Caffe Gelato Brunch comes by way of northern Italy to Caffe Gelato, on an extensive menu that allows you to decide how Sunday morning should go, whether it starts with apps (like the crispy polenta with fried poached egg and pulled short rib), or goes right into something sweet (crepes with cinnamon-butter, maple-braised pears). Salads, omelets, paninis and pancakes fill the rest of the menu, but save room for a gelato at the end of the meal (either at your table or to eat from a cone while strolling down Main Street in Newark). Home Grown Cafe I can&apos;t do brunch at Home Grown without ordering the Chili Hash made with eggs, potatoes, chili, bacon, cheese, scallion, jalapenos, and sour cream (on the side). But for those who don&apos;t share my addictions, they offer many other items to satisfy a wide variety of brunchtime appetites, from the Crab Gravy (egg, potatoes, crab, white gravy, black pepper-parmesan biscuits, chives), to the California Cobb salad (avocado, pico de gallo, cheese, black bean, tortilla croutons, chipotle ranch dressing) to the powerful day-starting Chefs Breakfast (egg, avocado, fruit, multi-grain toast, house-made ricotta).